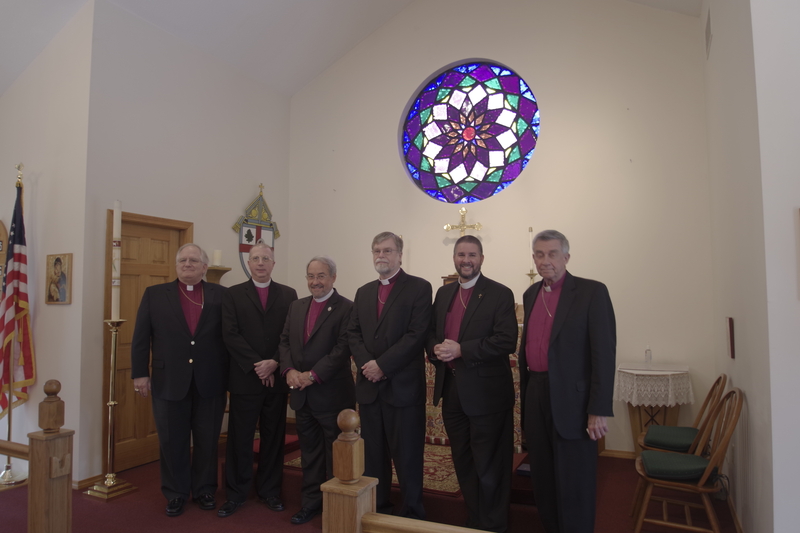 On May 2nd and 3rd of 2018, the presiding bishops of the Anglican Church in America, the Anglican Province in America, the Anglican Catholic Church, and the Diocese of the Holy Cross came together at St. Luke’s Anglican Church in Amherst, NH to share and develop an administration of Anglican tradition so that Anglicans in America will feel comfortable worshiping in any of our congregations. This meeting was a follow-up to the ground breaking agreement signed by the four jurisdictions in Atlanta, GA last fall. Much thoughtful and prayerful work remains to be done, and all viewpoints and ideas are under consideration so that the parochial needs and traditions of all the parishes are taken into account. Changes to the Anglican Canons and Constitution will require approval of a Joint Synod meeting of each jurisdiction. A tentative date in 2020 has been suggested. The Anglican Church has a long and rich history. In 1517 there was a challenge to the Roman Administration and in 1530 the Anglican branch in England formally challenged the authority of the Church in Rome, and the Anglican Church was formed. This newly separated Anglican Church developed a formal structure in 1562 during the reign of Elizabeth I. What continues to binds us together is our belief in the Holy Bible, the articles of Religion and in our Book of Common Prayer.